Every boy loves dinosaurs! This navy cord longall is the perfect fall/winter outfit for baby boys! 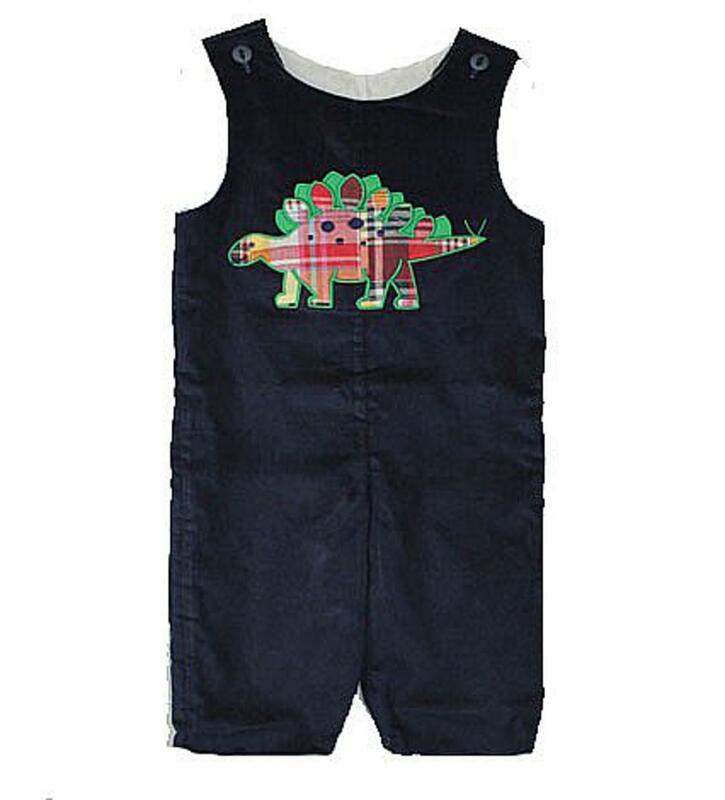 There is a dinosaur applique on the middle chest that is plaid with green mixed in. There is two buttons at the shoulder to easily get on the child and snaps along the inside of the legs to change a diaper. This is 100% cotton and super soft!